Provide comfort for the family of Jewellene Scales with a meaningful gesture of sympathy. Jewellene Joyce Scales, 1st born fraternal twin of the late George Ellis English and Lillie Mae (Stewart) English, departed from her loved ones on January 15, 2019. Jewellene was born in Marlin Texas on August 19, 1931. She attended school in Marlin and graduated from Booker T. Washington High School in 1949. After high school she attended Paul Quinn College in Waco, Texas, and Prairieview College in Prairieview, Texas. She met her husband, the late Harry Franklin Scales Sr., while he was a Staff Sergeant in the United States Air Force. They were married in 1952. They moved to Boston in 1954 and began a family of their own. They had three children, Harry Franklin Jr., Robert George, and Valerie Renee, all of Boston, MA. They were married forty-nine and one-half years before Harry Sr. departed from his loved ones. 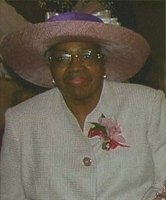 Jewellene dedicated her life to Jehovah in Boston, Massachusetts. She was a faithful servant of Jehovah for over 20 years. We look forward to seeing her healthy again in perfect paradise. Jewellene chose a career as a Senior Nursing Assistant. She worked at the Hebrew Rehabilitation Center (Hebrew Senior Life), for 30 years. She loved and was passionate about her work at the center and was grateful to be able to care for others. Even though she was a nursing assistant she trained several of the nurses she worked with. She unwittingly trained one of her granddaughters when she would bring her to work with her. Tarshia said she watched her grandmother show so much respect, kindness and concern for every person she cared for, while still making sure that Tarshia had her juice or whatever else she needed, and from that Tarshia learned; take care of family and treat everyone with kindness. Jewellene loved all her grandchildren very much. She wanted the best for all of them. She would get Yolanda in the bed and read to her, explaining how important reading and getting an education was. She would get the grands together as often as she could because she wanted them to be close with each other. Trey said she was meticulous, and whenever she had him rake leaves "he could not rake enough of them." She would always point to the one or two he left behind. They all loved when she took them to McDonald's or brought the McDonald's to them, and Trey said she made the "Best Banana Bread ever." Yolanda said Nana’s only rule was; be good, and if you weren't good watch out because, "Nana don't play." Jewellene was a beautiful and giving person. She was never judgmental, and people enjoyed being around her, talking to her, and knowing her. She was loved by many, and a blessing to everyone that had the opportunity to know her, even if it was only for the short time she may have cared for them at her work. She always told her family to treat people with kindness and always love one another. Jewellene will truly be missed but never forgotten. Jewellene is survived by her 3 children, 2 daughters-in-law, Mary Scales and LaTeisha Adams, twin brother George E. English and wife Leontene, 2 sisters, Fay L. Hubbard, and Robbie A. Weatherspoon and husband Marvin, all of Texas. 7 grandchildren; Tiffany, Harry III (Trey), Ella, Tarshia, Kerry, Yolanda, and Etania, 5 great grandchildren, Sadida, Takayla, Adriana, Kenneth, and Noah, and a host of relatives and friends. 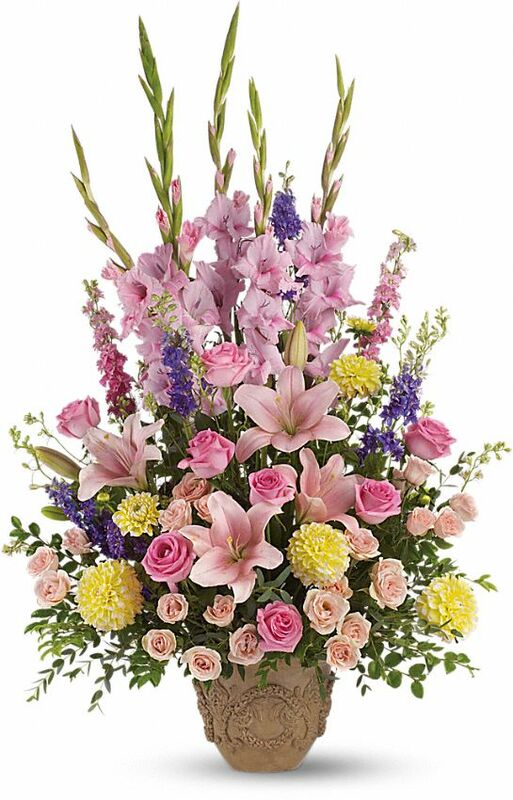 To send flowers in memory of Jewellene Joyce Scales (English), please visit our Heartfelt Sympathies Store. We encourage you to share your most beloved memories of Jewellene here, so that the family and other loved ones can always see it. You can upload cherished photographs, or share your favorite stories, and can even comment on those shared by others. 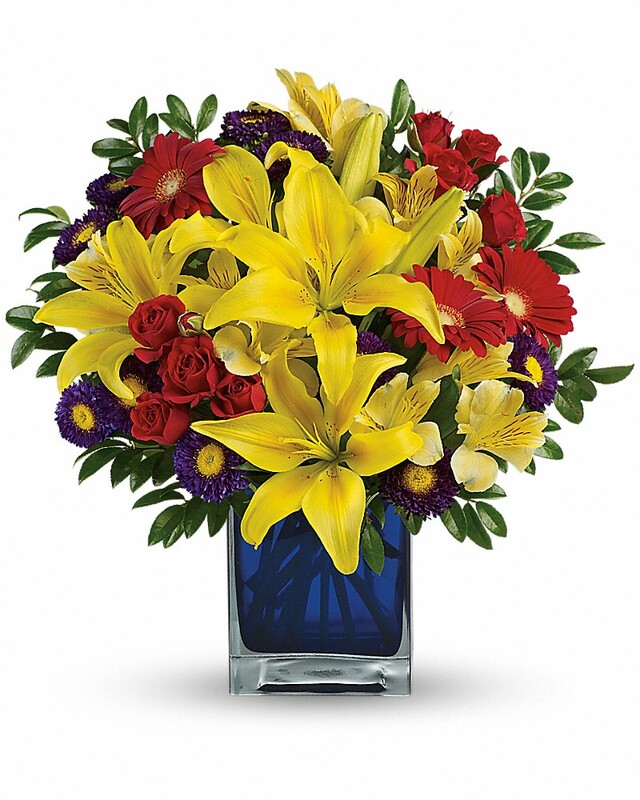 Gene H. Brown sent flowers to the family of Jewellene Joyce Scales (English). Our dear sister is resting and awaiting the call to “come on out!”. We will then enjoy our dear sister once again as we are united forever in a cleansed earth that is “just around the corner”. Our deliverance is near! Hold fast as soon we will all “stand firm and see the salvation of Jehovah!”. Until then...we bravely press on. Lovingly, Denise L.
Gene H. Brown purchased flowers for the family of Jewellene Scales. My family, the Dent family, moved to Boston the same year that Jewelene n Harry moved their. Not only were the two couples lifelong friends, but also they shared a house together. Mr Scales n Mr. Dent cut the kitchen n dining room in two so that each family could have separate meals. As children, we could not pronounce the name Jewelene n still call her. Miss Julie. Miss Julie was always there for the Dent, speaking to the mother, Rosetta Dent (a fellow JW who relocated west over a dozen years ago) and daughter Skye Dent every week. She and her memories live on in our hearts. With loving memories of dear Jewellene from the Dent Family; Rose, Betty, Theresa, Skye & Richard. She'll forever remain in our thoughts. Heartfelt Sympathies Store purchased flowers for the family of Jewellene Scales.